The Gates‘ listed their nine biggest surprises of in 2018, which include home DNA-tests catching out serial killers, sexist data, and the fact that toilets remain largely unchanged. 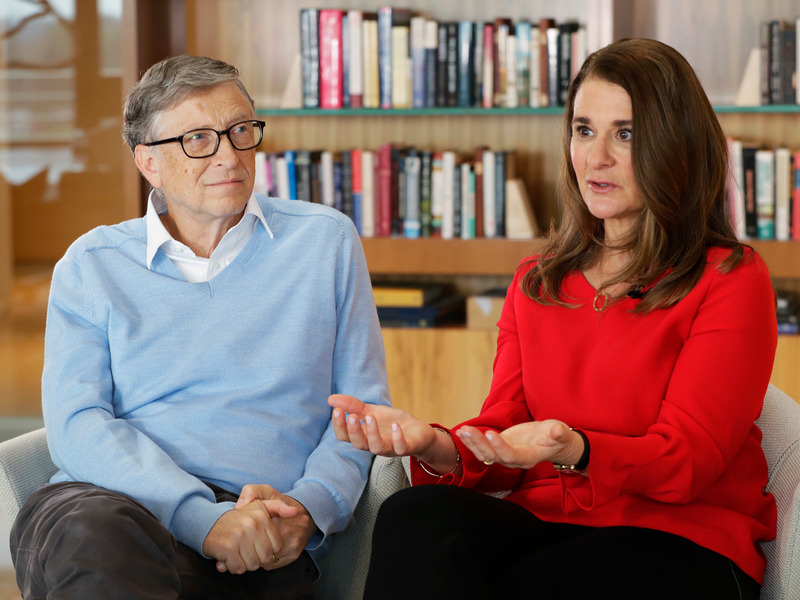 They dedicated the letter to Bill Gates‘ Microsoft cofounder Paul Allen, who died in October 2018. Bill points out that everywhere else in the world the average age is going up. „This can be either an asset or a source of instability. Melinda and I believe that the right investments will unlock the continent’s enormous potential. Young Africans will shape the future of not only their own communities but the entire world,“ writes Bill. „It’s not realistic to think that people will simply stop using fertilizer, running cargo ships, building offices, or flying airplanes. Nor is it fair to ask developing countries to curtail their growth for the sake of everyone else,“ writes Gates. The Gates‘ expressed concern about the reams of missing data about women, particularly in developing countries. Not only is missing data a worry, but Melinda writes that the way data is collected about women can stack the odds against them. „We like to think of data as being objective, but the answers we get are often shaped by the questions we ask. When those questions are biased, the data is too,“ she writes. The Gates‘ talked in-depth about attending a meeting of high-school boys talking about how they deal with their anger. Bill said he learned a lot from watching those boys — some of whom had lived through tragedy — find ways of handling their anger. „There is nothing about putting your country first that requires turning your back on the rest of the world. If anything, the opposite is true,“ Melinda writes. The Gates‘ described a „toilet fair“ which they organised in Beijing last year — looking for a new design to oust the flush toilet. „Several companies are business-ready. Their inventions check almost all the boxes: They kill pathogens, can keep pace with the needs of fast-growing urban areas, and don’t require sewer infrastructure, external water sources, or continuous electricity to operate,“ writes Bill. „When I told you about this type of software in previous letters, it was mostly speculative. But now I can report that these tools have been adopted in thousands of U.S. classrooms from kindergarten through high school. Zearn, i-Ready, and LearnZillion are examples of digital curricula used by students and teachers throughout the US,“ he writes. „For the world’s most marginalized women, a mobile phone doesn’t just make their old life more convenient; it can help them build an entirely new life,“ writes Melinda. However, she pointed to a gender gap in phone ownership in poorer countries. „Paul was a brilliant man with a wide-ranging mind and a special talent for explaining complicated subjects in a simple way. He loved to share his passion for music, science, the arts, sports, philanthropy, and so much more.